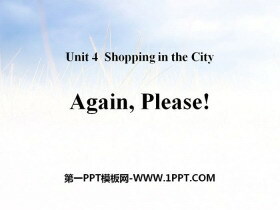 《Again,Please!》Shopping in the City PPT 第一部分内容：Warm-up Greetings. T: Hello. Boys and girls. Ss: Hello. Miss T: Nice to meet you. Ss: Nice to meet you, too. 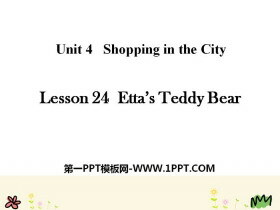 Review 单词接龙的游戏。 四个学生排成一列，第..
《Etta's Teddy Bear》Shopping in the City PPT课件 第一部分内容：Warm-up Greeting. T: Hello. Boys and girls. S: Hello. Miss T: Nice to meet you. S: Nice to meet you, too. Review Ask and answer. 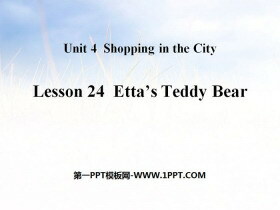 T: Do you like sh..
《Etta's Teddy Bear》Shopping in the City PPT 第一部分内容：课前热身 Sing a song Old MacDonald Had a Farm 复习回顾 （1）复习祈使句（学生根据指令做动作） （2）Review the sentences : Where do you want to go? 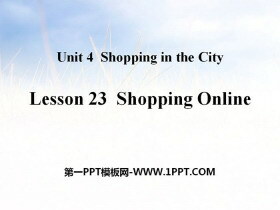 I wa..
《Shopping Online》Shopping in the City PPT教学课件 第一部分内容：Warm-up Greetings. T: Hello. Boys and girls. Ss: Hello. Miss T: Nice to meet you. Ss: Nice to meet you, too. 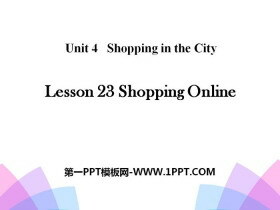 Review 加句子的游戏。 学生五人一组..
《Shopping Online》Shopping in the City PPT课件 第一部分内容：话题导入 1. We can shop online. Jenny: I want to buy a story book. Danny: Lets go to the book shop. Jennys mother: We can shop online. 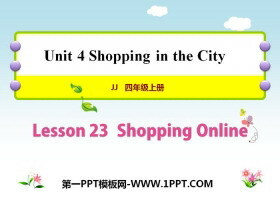 Jenny �}Danny..
《Shopping Online》Shopping in the City PPT 第一部分内容：课前热身 Greeting: T: Hello , boys and girls.How are you? S: I am fine. Thank you. T: Nice to meet you. S: Nice to meet you, too. 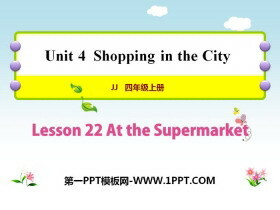 复习回顾 1. Review the..
《At the Supermarket》Shopping in the City PPT教学课件 第一部分内容：Warm-up Greetings. T: Hello boys and girls. How are you today? Ss: Were fine thank you. T: How do you feel? Ss: We feel happy! 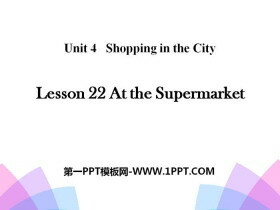 Review 抢答游..
《At the Supermarket》Shopping in the City PPT课件 第一部分内容：知识讲解 知识点 1 tomato /t'm��t/ n. (名词)西红柿 例句：I want to buy some tomatoes. 我想买一些西红柿。 复数：tomatoes 短语：tomato salad 西红柿..
《At the Supermarket》Shopping in the City PPT 第一部分内容：课前热身 Sing a song 复习回顾 1. Review the sentences : Where do you want to go? I want to go to the 2. 复习购物句型： May I help you? Yes, please. 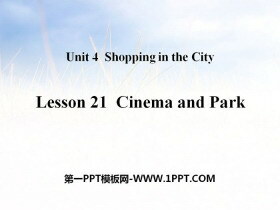 I..
《Cinema and Park》Shopping in the City PPT教学课件 第一部分内容：Warm-up Greetings. T: Hello. Boys and girls. S: Hello. Miss T: Nice to meet you. S: Nice to meet you, too. Review 复习对话。 S1: May I help you?.. 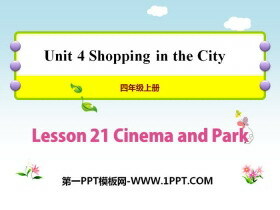 《Cinema and Park》Shopping in the City PPT课件 第一部分内容：话题导入 1. I want to go to the park cinema park supermarket I want to go to the park . Where do you want to go? 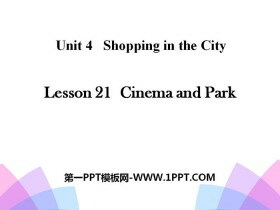 ... ... ... Cinema and ParkPPT，第..
《Cinema and Park》Shopping in the City PPT 第一部分内容：课前热身 Sing body song 复习回顾 复习购物句型： May I help you? Yes , please . I want to buy 话题导入 T: I am lost. Can you help me? How can I go there?..